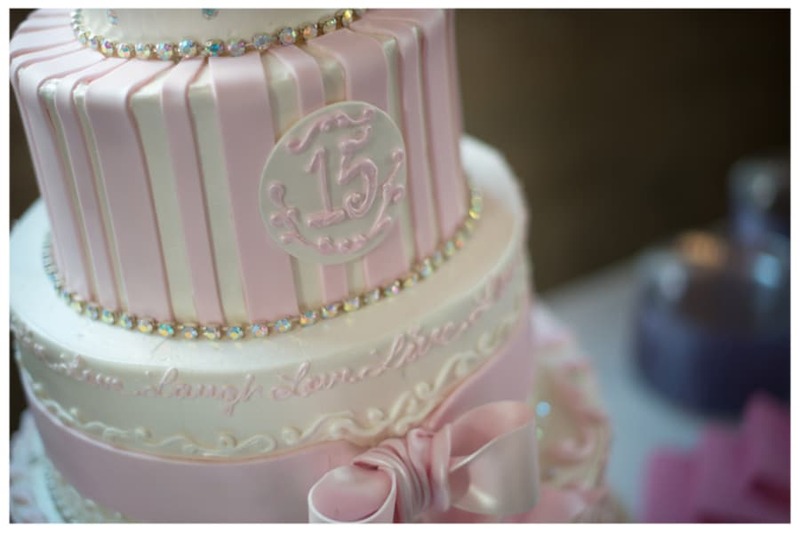 Picking out the cake and cake topper for your Quince is a fun and tasty process! When you go to a cake bakery bring along some examples of cakes you love, your guest count and an empty tummy. When you show the baker your photos and explain to them your Quince style, they'll be able to sketch a cake that goes with your theme and will feed the amount of guests you are having. When choosing the flavor remember that this day is all about you, so go with your favorite! However, if your favorite is an odd combination (think chocolate cake with orange buttercream) you might consider adding a layer of white cake with white buttercream for those with less adventurous taste buds. Here are a few cake designs and cake toppers we love!